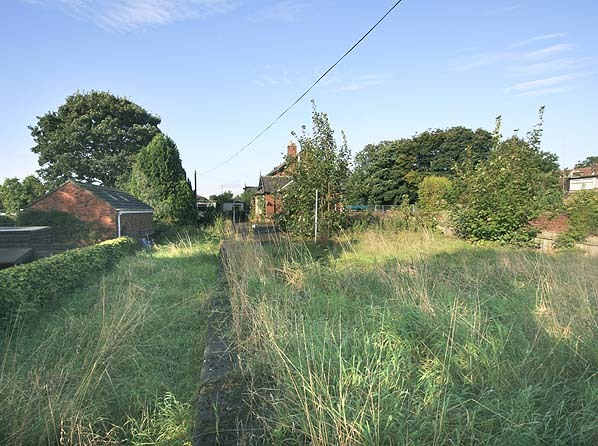 Present state: The station is now a council depot and the main station building goods shed and platform and sheep dock are all extant although the track bed has been partially infilled up to platform level. 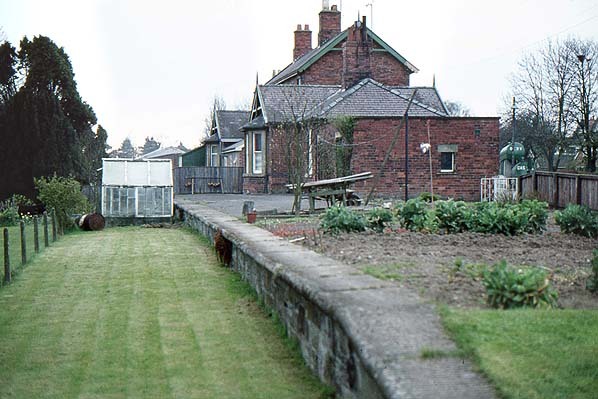 At some time the station buildings have been divided into offices and living accommodation. The house is currently empty and appears unused. Notes: There is no town or village of Forge Valley and the station actually served the village of West Ayton. 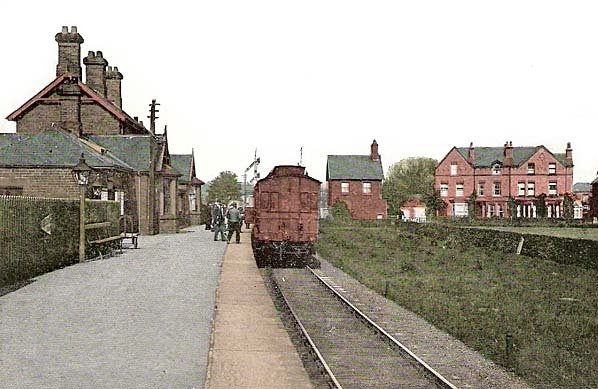 The station was named after a local beauty spot and it has been suggested was so named to avoid confusion with the North Eastern's Great Ayton Station. 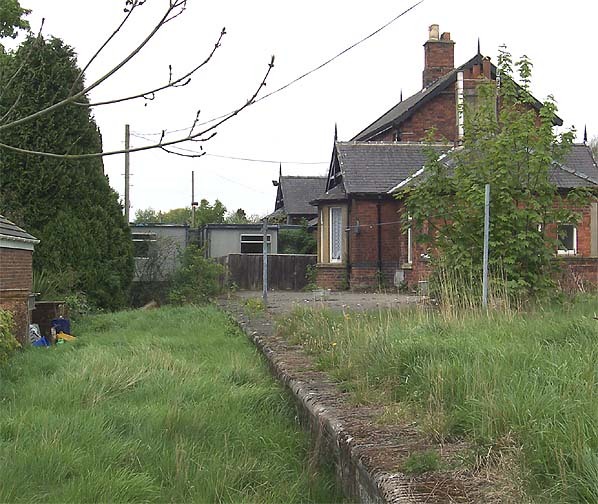 The goods yard consisted of two sidings, one with a loop on the down side of the line alongside the station. One siding served a horse dock and coal drops the other ran through a substantial brick goods shed followed by a sheep dock. Just west of the goods yard a short private siding served a timber yard. The Vale of Pickering (incorporating Ryedale) has always been subject to flooding due to the flat terrain so when railways finally reached the area they kept close to the edges. 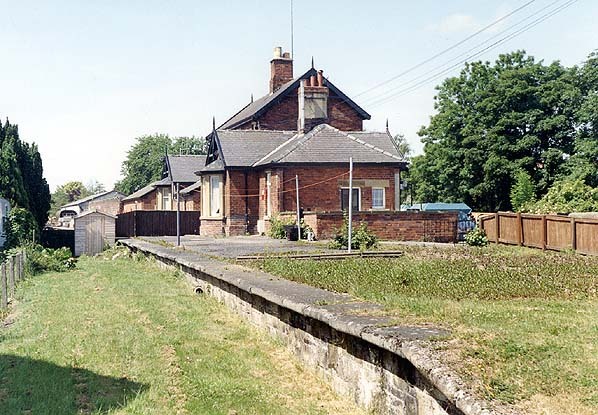 One of the last to be built was the east - west line from Seamer to Pickering which is usually known as the Forge Valley Railway although it doesn't actually follow the north - south Forge Valley cutting across the southern end of it at West Ayton. There was an earlier proposal in 1864 for a line from Pickering running east along the north side of the Vale of Pickering as far as West Ayton where it would turn north along the Forge Valley to a junction with the proposed Scarborough - Whitby line at Scalby. 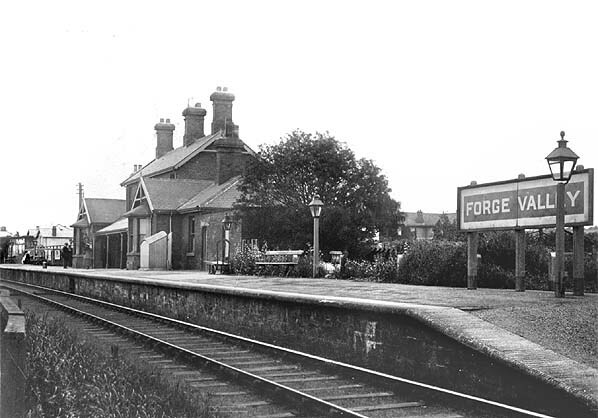 Because the Scarborough - Whitby line was not built at this time, the Forge Valley line was not proceeded with. objections from Lord Londesborough who owned part od the proposed route. Wykeham had facilities to deal with livestock, and such agricultural produce comprised most of the freight on the line, although there was also stone from a quarry at Thornton Dale.